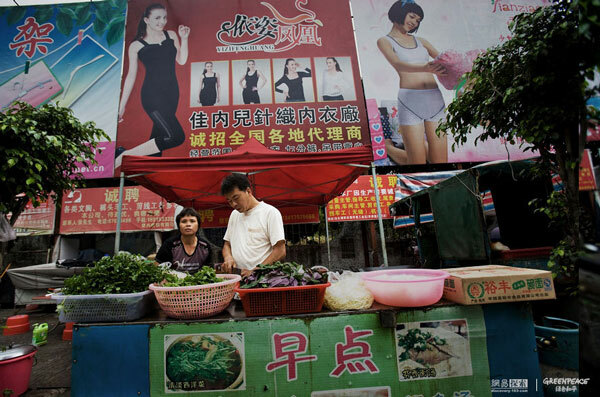 2 Environmental impact of the clothing industry – Our clothes, our jeans and underwear are produced by unsustainable methods. 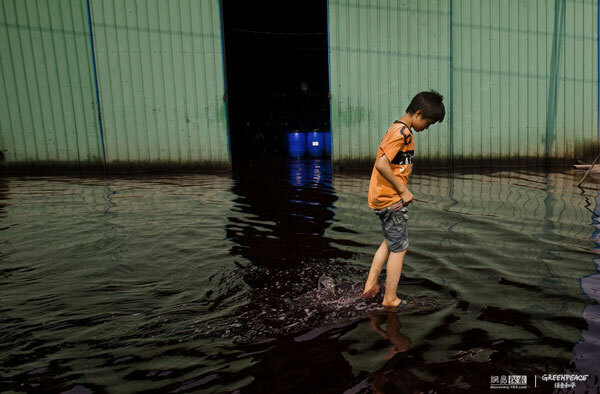 Greenpeace has produced a sensational report on the catastrophic effects of textile manufacturing in the Pearl River. 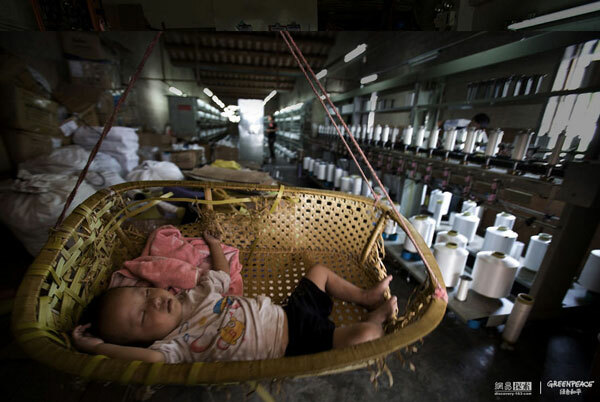 Environmental impact of the clothing industry – Our clothes, our jeans and underwear are produced by unsustainable methods. 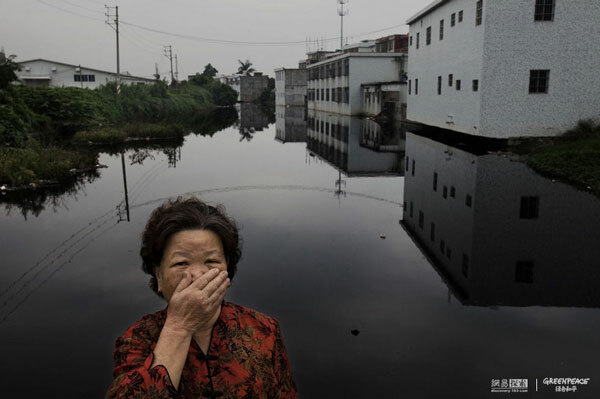 Greenpeace has produced a sensational report on the catastrophic effects of textile manufacturing in the Pearl River. 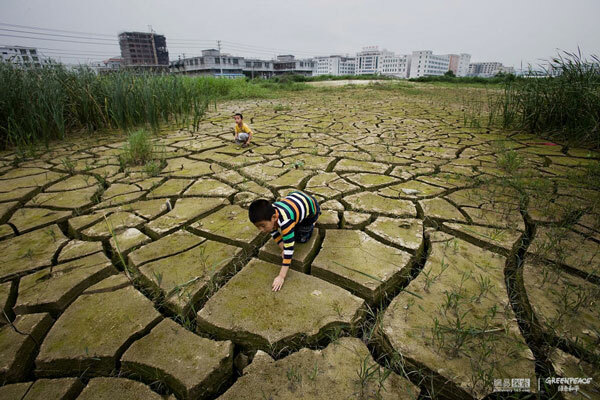 Xintangzhen, Guangdong, is located along the main tributary of the Pearl River. 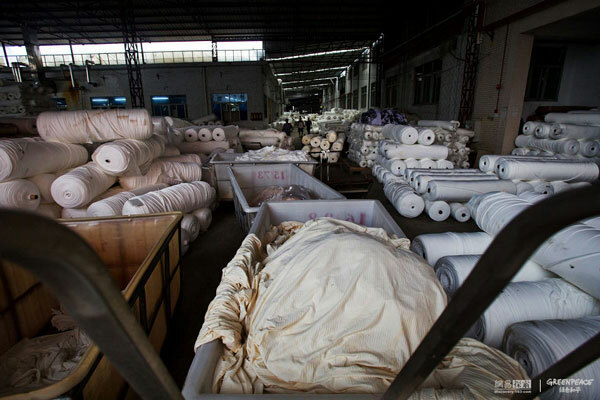 Like many other cities in the province it is experiencing a phase of aggressive industrial growth- Xintangzhen specialized in the production of fabrics. 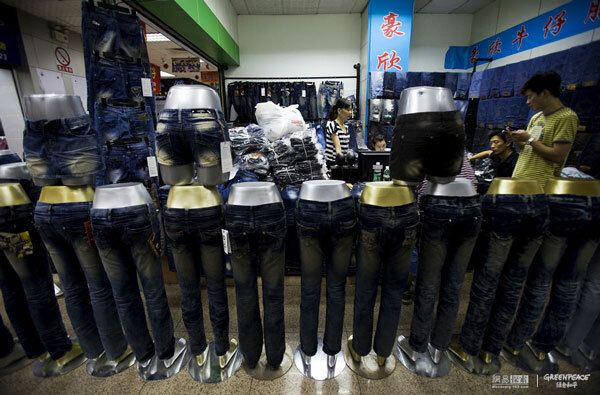 Many houses or small workshop are often used to the making of jeans, where later the finished good will be packed on trucks. Everybody takes part in the task: children, women and the elderly. Children help parents to strengthen home-incomes. 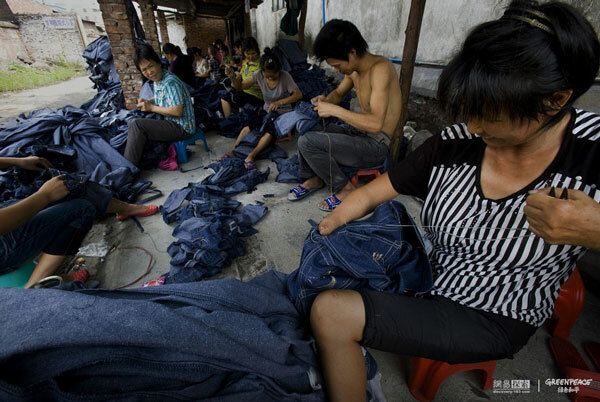 Every day, each worker at least produces 200 jeans for each of which is paid a few cents. A Greenpeace team arrived here to check the area. 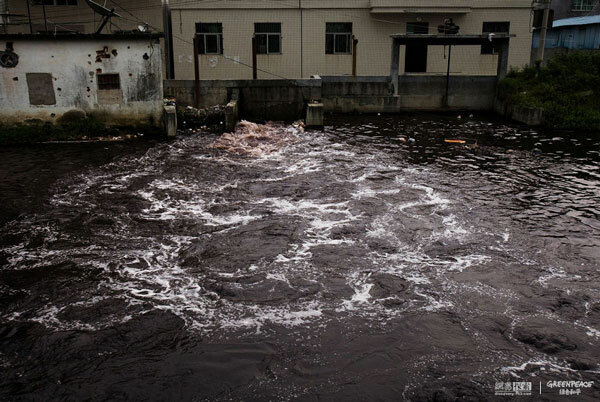 This channel is highly polluted by waste-water from the processing of the fabric factories. The water is toxic and if it comes into contact with skin it can cause irritation and itching and can be dangerous for the locals health. 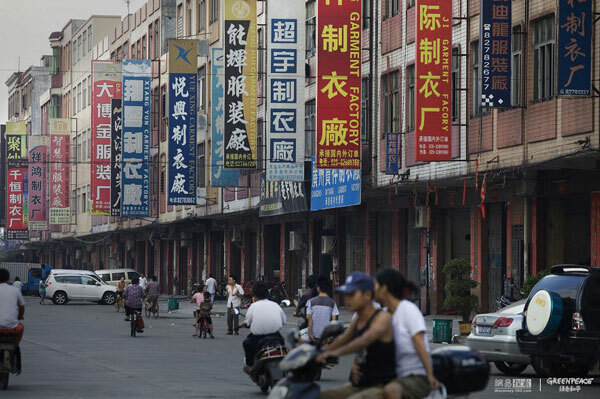 Many migrant workers come here looking for job opportunities. 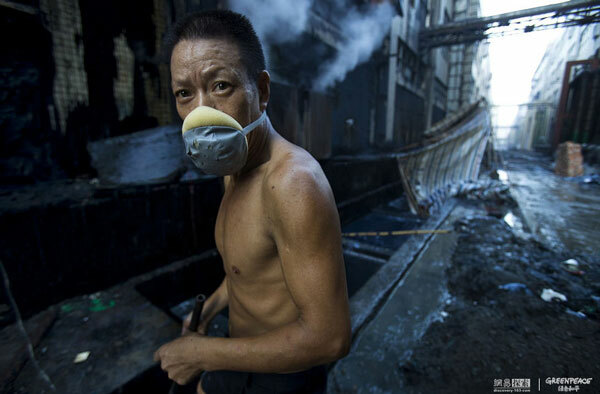 Every morning workers remove with bare hands the residues of jeans that clog the gutters. 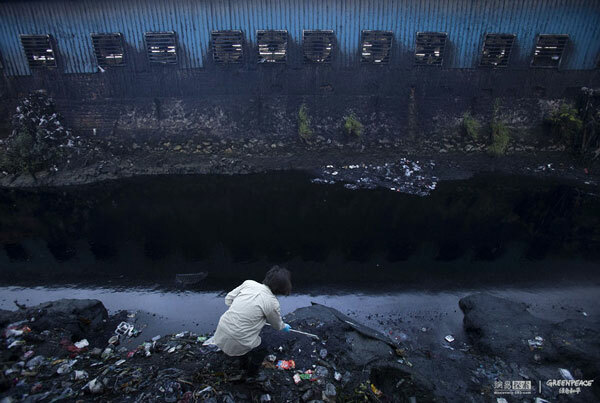 The area, due to high concentration of industries in the manufacturing sector is seriously polluted. 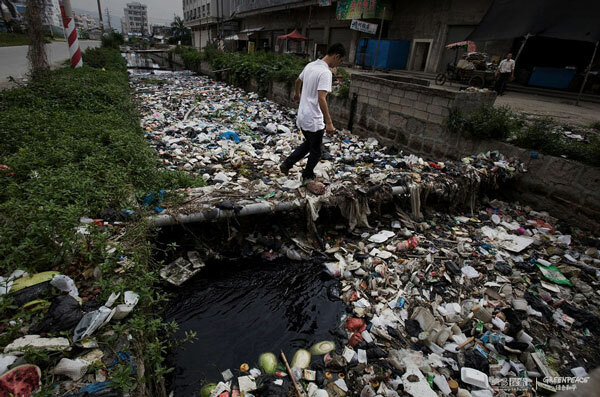 Rivers are full of garbage. According to residents the smelly water is not always of the same color: it depends on which chemicals flow into that particular day. 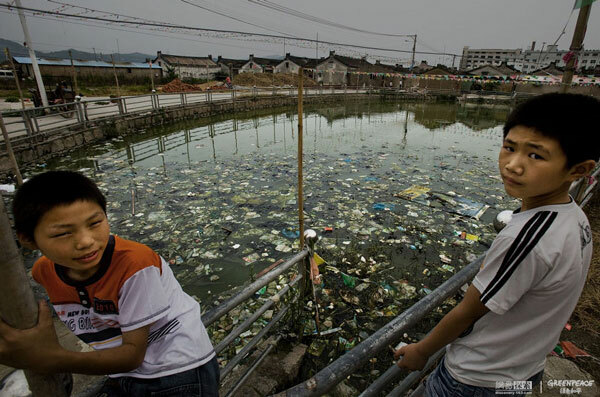 Each tonne of textiles pollutes about 200 tons of water. 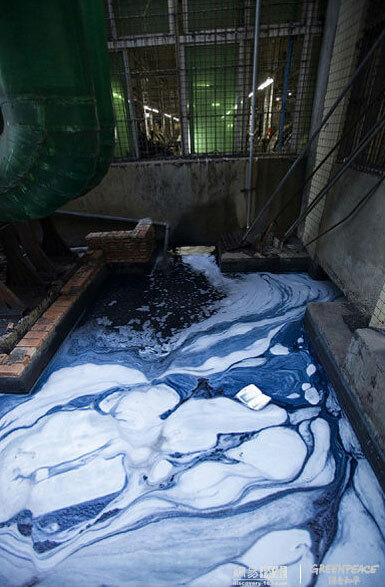 During the process of dyeing and finishing products, about 2,500 of different chemicals are used. 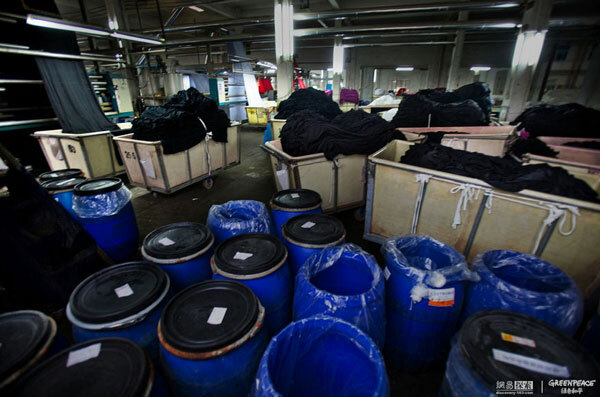 Many hazardous chemicals are used in textile finishing process. 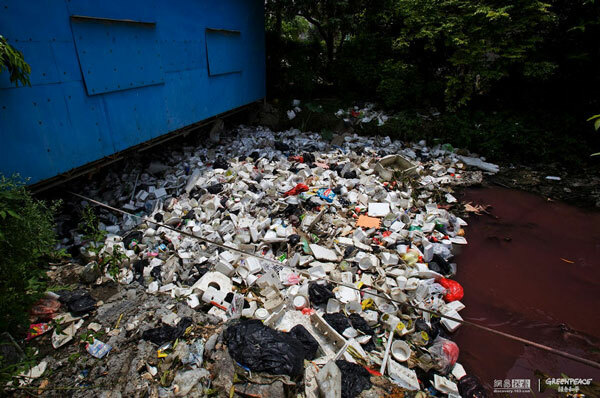 These chemicals can not be completely removed and therefore many will flow in the waters of the rivers. Gu Rao provides jobs for many families in the area. 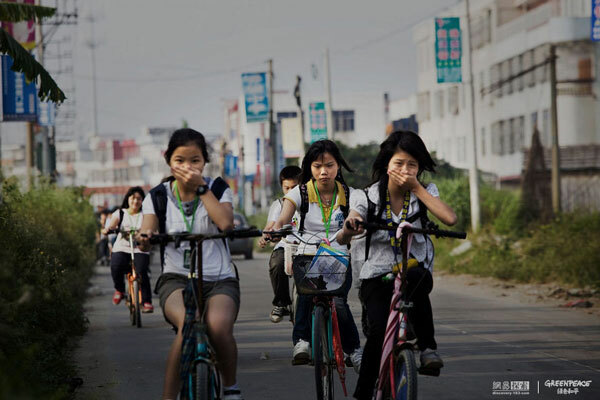 Children go to school during the day and work in the night. These five children attend primary school. 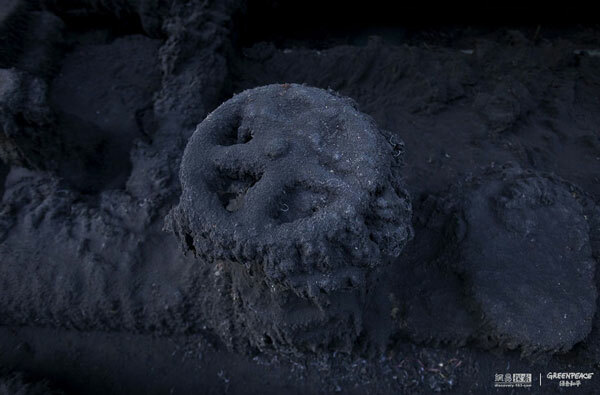 One comes from Hunan, one from Guizhou, the other three are from the area. 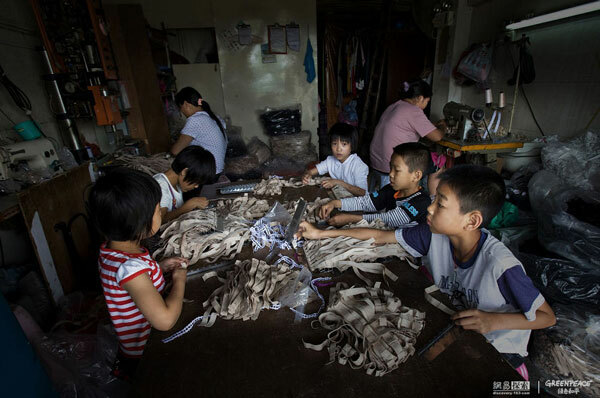 Every day they earn about 20-30 yuan.